According to Indian astrological and gemological texts, the gemstone of Planet Ketu is the Cat’s Eye, or Lehsunia/Vaiduria. This unique and beautiful gem gets its name from a narrow band of concentrated light across the width of the stone, resembling the narrow pupil of a cat’s eye. The gem has many intriguing qualities, making it a favorite amongst gem collectors and believers of mysticism alike. The band of light can be displayed on many different types of stone. Nonetheless, when using Cat’s Eye as the stand alone name, it always refers to chrysoberyl. Both affordable and available in a variety of styles and colors, this stone is increasing in popularity among the fashion elite as well as everyday people. As a stone, cat’s eye did not gain much value or popularity in European countries and America until the late 19th century. That’s when it was given as an engagement ring by the Duke of Connaught to his future bride. The term chrysoberyl is formed by two Greek words, Chryso meaning “golden” and Beryl meaning “green”. 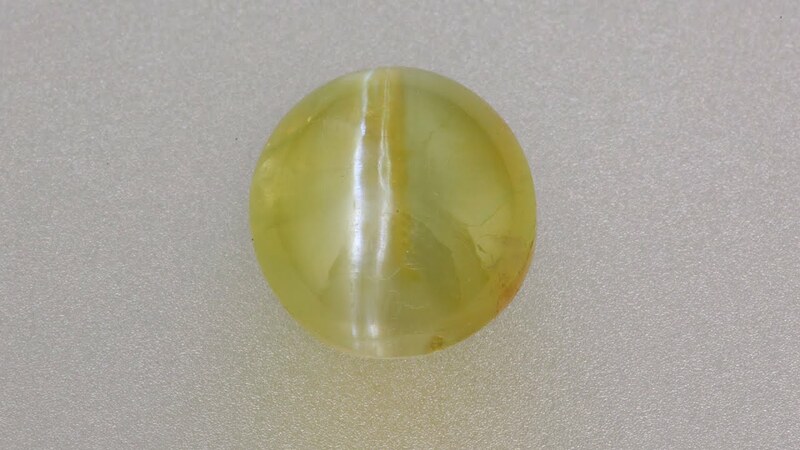 Despite English speaking countries ignoring it, cat’s eye was a very popular stone in countries such as Sri Lanka. It was here where it was valued for its mystical properties long before it became a fashion statement. In its countries of origin, this gem has long been revered for magical powers that range from warding off the evil eye, to improving the odds of success in games of chance. The distinctive shaft of light from whence the cat’s eye gets its name is caused by inclusions of fine, thin parallel mineral fibers in the gem that reflect light. This stone comes in a variety of colors such as grey, green, yellow, red, blue, black and white. It can be opaque and milky to translucent in appearance. This gem is the third hardest naturally occurring stone, measuring 8.5 on the Moh’s scale. Stones with a bright, straight line of light hold the most value. This effect of light reflecting off the fibers in the gem is known as chatoyancy. Chrysoberyl is neither treated nor enhanced and is generally cut into a carbochon with the base parallel to the fibers. When rotating the stone, the light glides across the length of the fibers. Alexandrite varieties change colors in light and are highly priced. 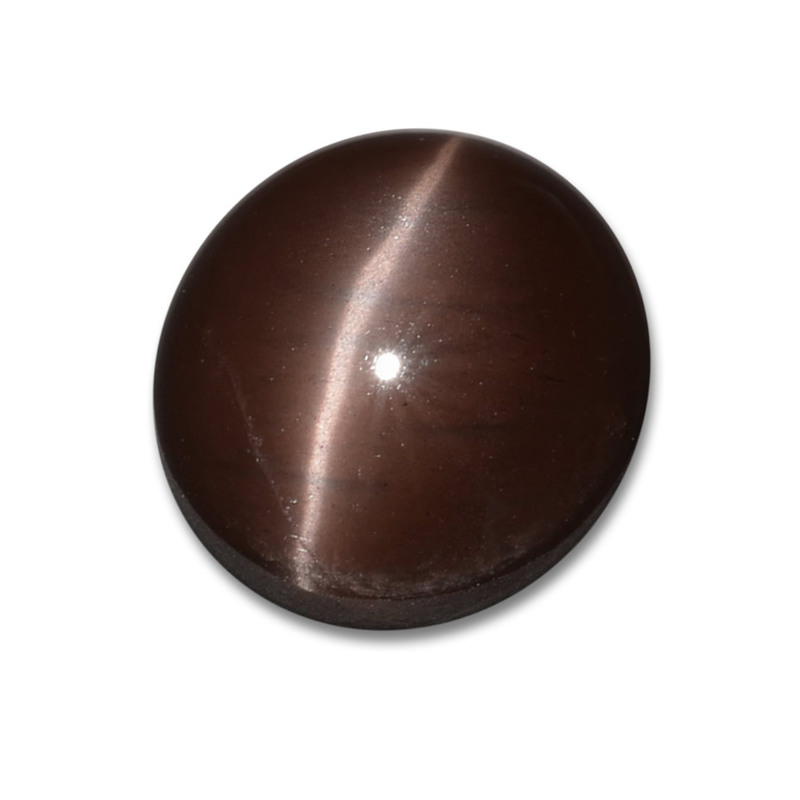 Believed to be a gem with strong mystical properties, cat’s eye is used in amulets warding off witchcraft and death, though it is also known have immense good luck and fortune. As a talisman, the stone is thought to ward off evil while also promoting tolerance, harmony, discipline and self control. It is a favorite amongst business people worldwide as they believe it can elevate success. Medically, the gem was believed to cure vision problems and promote better night vision. It aids function in the nervous system and alleviates headaches, facial and sciatic pain. It has been used to heal kidneys, liver, lymph nodes, pancreas, spleen and issues associated with leukemia. In Indian astrology, cat’s eye represents the Planet Ketu, which is a Significator of occult sciences and intuition as well as spirits, ghosts and recurring bad dreams. Cat’s Eye are said to be best worn on Tuesdays. The best way to wear the stone is in a ring on the little finger of the left hand. Wearing the stone during different phases of the moon is said to enhance individual characteristics of the gem’s powers. People in different professions are said to require different colors of stones. Soldiers and administrators as well as rulers should seek honey brown stones. Businessmen, farmers or bankers should wear honey green. Laborers, artists and those in the service industry should purchase a dark green stone. These unique gems are favorites amongst gamblers; they may help restore lost businesses. They are also known to help rebuild the body after abuses and relieve mental anxieties. The Eye of the Lion is the largest cat’s eye gem in the world. Weighing in at over 700 carats in its uncut state, it was discovered in Sri Lanka in the late 1800’s on the land of a wealthy heiress named Iddamalgolda Kumarihamy. When the stone became the property of her grandson, The Dissawa, he decided to invite the most famous gem cutter in the country to shape the gem. The finished weight was 465 carats. The Smithsonian Institute recognizes it as the largest cat’s eye gem stone known to man. The stone was set in a pendant that now resides with Jeffrey Bergman, a gem collector in Bangkok. Where Do We Find Cat’s Eye Today? Cat’s Eye are primarily found in Sri Lanka, Brazil, India, China and Zimbabwe. 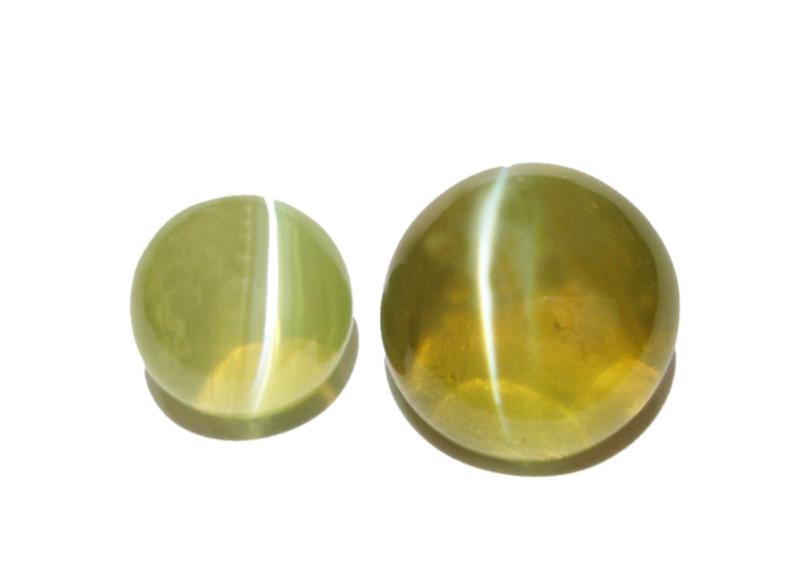 We can find non-chrysoberyl cat’s eye stones elsewhere in the world. This includes a rare purple stone found in Maine and much sought after blue stones from Brazil. A neon blue-green variety was recently discovered in Madagascar and is gaining popularity in world markets. Whether you believe in the metaphysical properties of gemstones or not, there is no denying that the cat’s eye is a beautiful gem. These versatile and unique stones can be a beautiful addition to your collection. They may also help with your anxieties and health problems. They are one of the most affordable gems in the world and thus, are available for people in all walks of life. Available in a wide variety of colors and styles, these gems are becoming a popular trend in fashion jewelry. We can see an increase in purchase for serious occasions such as engagements and anniversaries. What do you think? Would a cat’s eye be a welcome addition to your wardrobe and jewelry collection? Would you wear this stone in hopes of tapping its mystical powers or as a fashion statement? Hey Buddy!, I found this information for you: "Cat’s Eye: The Gemstone of Planet Ketu". Here is the website link: https://accessgems.com/cats-eye/. Thank you.